I try to describe the condition of the books as accurate as possible. The description is usually in Swedish, but for books of other origin than Sweden I often add information in English. Don't hesitate to ask if you have any questions. 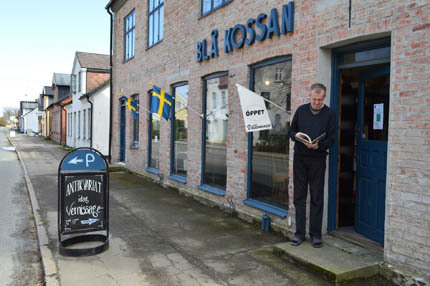 If you order from outside Sweden the shipping cost will be about 10 € for an ordinary book if you make your order at Bokbörsen. I always wrap well. In case you are not content with a book you have ordered you can return it and you will get your money back. But the shipping cost for the return will always be on your own account.